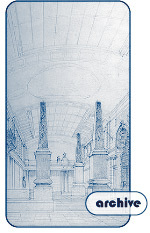 The purpose of this inventory is to provide a comprehensive listing of the drawings by Percy Nobbs and his associates, which form part of the John Bland Canadian Architecture Collection (CAC). The information provided for the projects has been based on the Canadian Architecture Collection publication Percy Erskine Nobbs and his Associates, A Guide to the Archive (1996), and amended where necessary. All information noted on the project and drawing description sheets designed for the purposes of the inventory has been compiled from the drawings and from office records. The terms used to define project types were derived from the Time Saver Standards of Building Types (1973). 1.Record number the unique reference number which identifies each project and operation. 2.Architect's name: unless specified by the section heading, the name is supplied on the first line of the description. 3.Project title: based as closely as possible on the drawings and office records, but edited and standardized for clarity and consistency (e.g. where Nobbs and Hyde used both "house" and "residence", "house" is used in the inventory). Major editorial additions or changes to titles are indicated by square brackets. In certain instances, related drawings have been grouped together and assigned a common title (e.g. Student Prize and Competition Drawings of P.E. Nobbs). The term 'proposal' indicates projects which are known to have been unexecuted. 4.Place: the city, street and address are shown for all operations, as is the province or state (except for Quebec where the majority of operations were carried out). For projects outside of North America, the country is also given. Where the location was not specified by the architects, it has been added if known. Building names, parks and campuses have also been considered to be addresses. Street numbers have been given as found, as it is beyond the scope of this inventory to verify them. Square brackets indicate modern street names. 5.Client: as supplied by the drawings or office records. 6.Operation number: beginning in 1907, Hyde gave a sequential operation number to each of his commissions. This sequence was continued in his partnership with Nobbs, and later in Nobbs's partnerships with Valentine and Francis Nobbs. Any operation by Nobbs that was not included in the above sequence (primarily, but not exclusively, Nobbs's projects before his partnership with Hyde) has been listed in chronological order with undated operations placed at the end. An operation number whose first digit is a zero (0) has then been assigned. These numbers, found in Section 1, are not singly sequential as intervals of five have been left in case other operations need to be added to the existing chronological sequence. If an operation involved several stages, a letter in square brackets has been added to the operation number, according to the precedent set by Nobbs who used a combined alpha-numeric system in such instances. 7.Date: months and years during which the major part of the operation was carried out as indicated by the drawings. 8.Building type: a general designation indicating the nature of a project, including details of size, materials and structure. 9.Drawing description: the number of drawings, and their medium and support. 10.Drawing inventory: listed in hierarchical order according to the sequence in which drawings are produced in standard architectural practise, i.e. survey, measured, sketch, presentation, development, working, detail, shop, consultant and record. 11.Photographic material: photographs of drawings, models, works in progress, completed operations and related subjects kept by the office. 12.Related papers: correspondence, notes, specifications, contracts, financial records and clippings. 13.Comments: include important supplementary information, which adds to the understanding of a project.